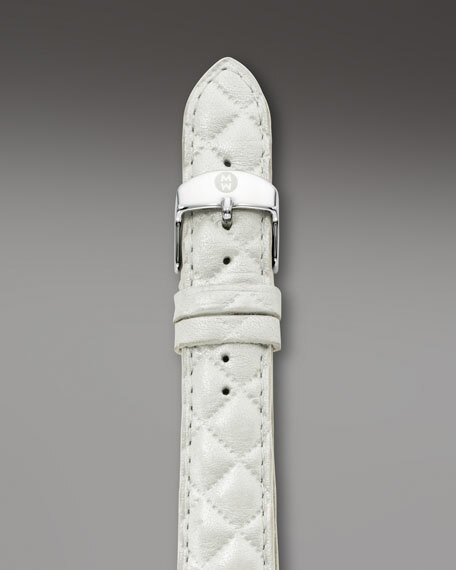 White quilted leather, backed with soft nubuck leather. 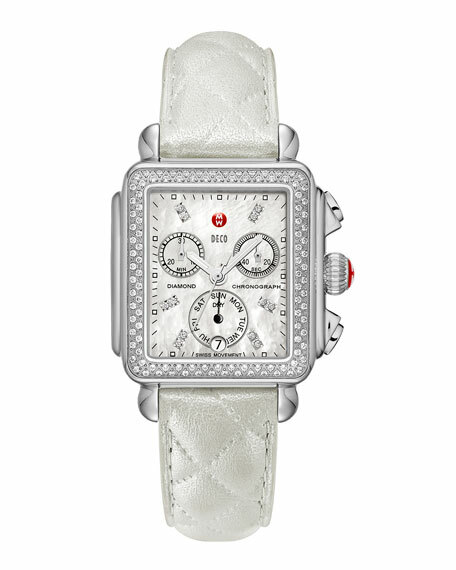 Polished stainless steel buckle with MW logo. For in-store inquiries, use sku #252903.